Wellcome Collection invites you to explore the drug-addled and dissolute side of Victorian times in a special 2-day event accompanying the High Society exhibition. On Friday 11th February, take your entertainment nineteenth century style and marvel at a magic lantern performance. Later, enjoy the exhibition after hours, with a wee drink on the house. Next day, imagine class A drugs are freely available over the counter and engage with experts in a series of talks about Victorian drug culture including the Victorian Pharmacy, the beginnings of addiction, self-experimentation and drugs in Victorian literature. Lunch with fellow fans of Victoriana and science and mingle at the end of the day over drinks. If anyone goes in full Steampunk regalia or proper period dress please send us a photo and we'll salute you on Londonist. 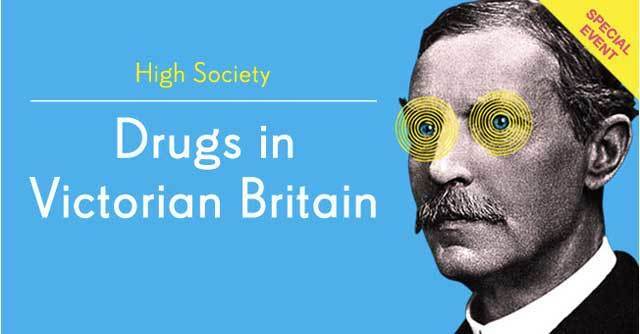 High Society: Drugs in Victorian Britain takes place on February 11-12 2011. Tickets are £30 (£20 concs). Early-bird £5 discount on full price tickets available until 21/1/11. Book now. Read a review of the High Society Exhibition.